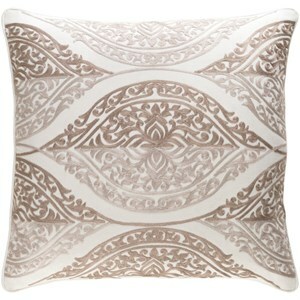 Want a pillow that is both stylish and elegant? Brimming with grace and chic charm, the Regina collection by Surya is what you are looking for! 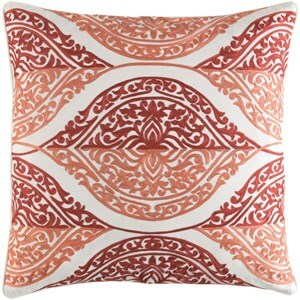 Woven in India with 100% cotton, this beautiful pillow is not only stylish but is durable as well, making it a great addition for any room within your household. 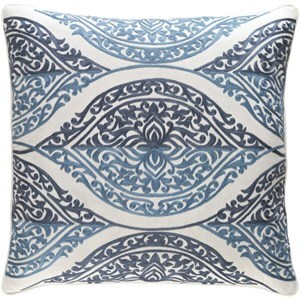 The Regina 8262 x 19 x 4 Pillow by Surya at Hudson's Furniture in the Tampa, St Petersburg, Orlando, Ormond Beach & Sarasota Florida area. Product availability may vary. Contact us for the most current availability on this product. Browse other items in the Regina collection from Hudson's Furniture in the Tampa, St Petersburg, Orlando, Ormond Beach & Sarasota Florida area.